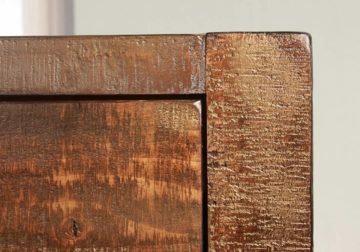 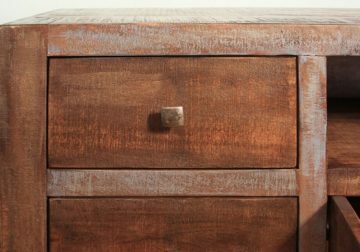 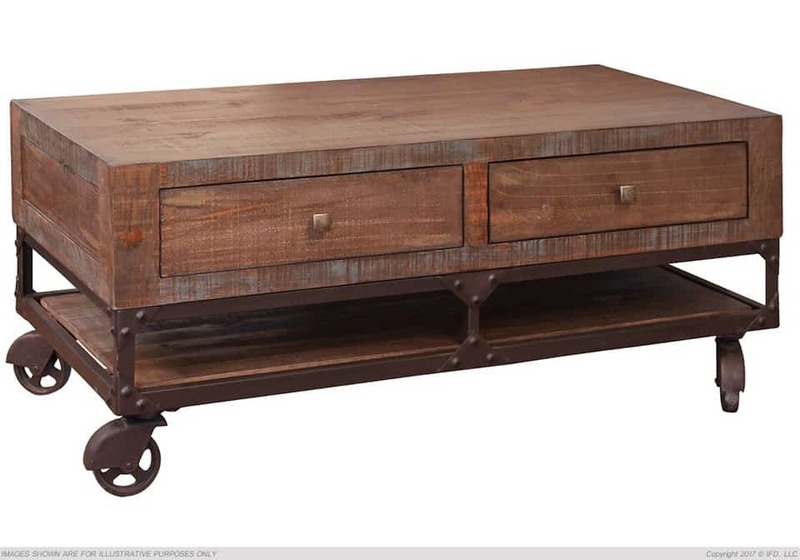 A rustic contemporary look is created by the vintage finish and distressed qualities of this cocktail table. 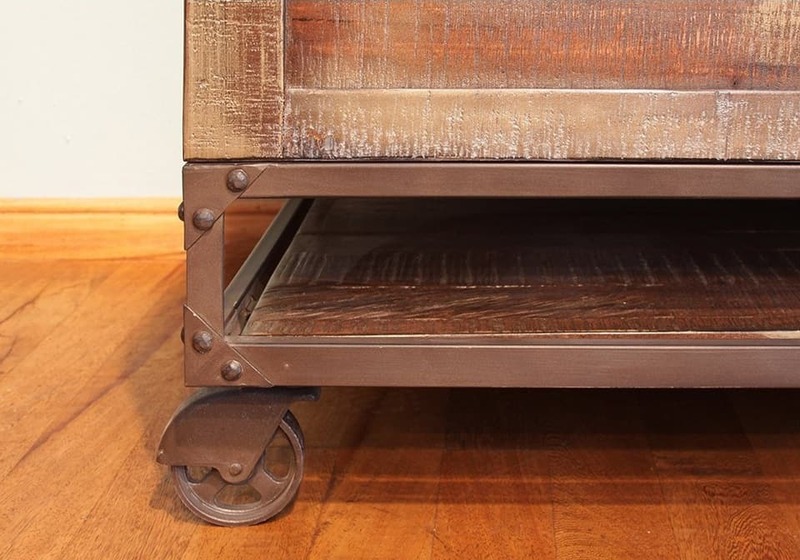 Tubular metal work creates the base of this industrial inspired piece and is paired with vintage looking wheel casters. Framed panels on one side and two drawers on the other make this table both stylish and functional.